Prime Minister Benjamin Netanyahu departed the United States at around 2 am Tuesday to return to Israel, saying he would head straight to the Kirya Defense Ministry headquarters as soon as the plane landed at Ben Gurion International Airport. Just prior to his departure, he told reporters: “I am returning from a historic visit to Washington and this is something that will be remembered for generations. It took us 50 years to achieve this. “It belongs to us. We have historical foundations in the Golan Heights. When you put a hoe there, you discover magnificent synagogues that we are restoring. We returned to the Golan Heights. The Golan Heights is ours. Through our historical rights and the right to self-defense. And President Trump recognized that. “I’m going back to Israel to take care of the important things. I am taking the plane quickly back to Israel and from there will go to the Kirya. We gave a very, very strong response and Hamas needs to know that we will not hesitate to do all the necessary things, not related to anything, not related to the calendar but rather to the needs of Israel’s security,” he concluded. The prime minister had been holding constant security consultations from Blair House and continued to hold discussions with the IDF chief of staff, the head of the Shin Bet domestic intelligence agency and the other heads of the defense establishment throughout the night prior to his departure. 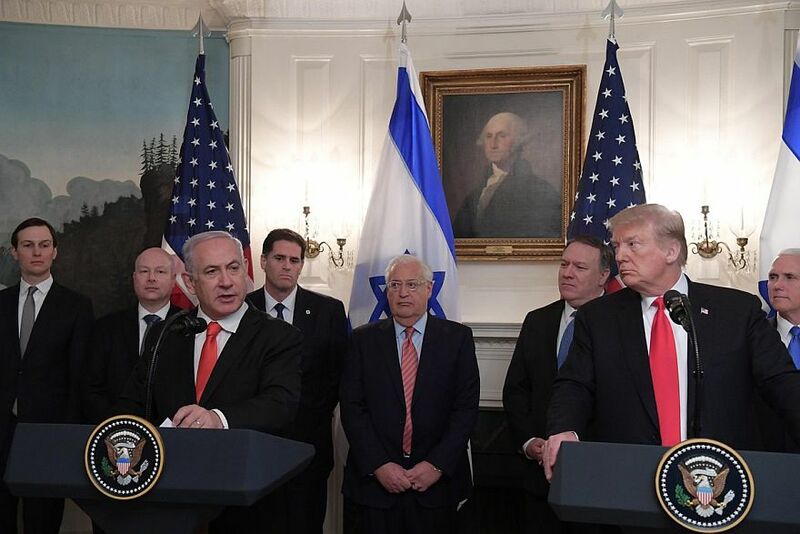 Earlier in the day, Netanyahu met with President Donald Trump and stood beside him as the president signed a Proclamation officially recognizing the Golan Heights as a part of the State of Israel. Netanyahu’s decision to cancel his address to the 2019 AIPAC Policy Conference followed a serious rocket attack on central Israel by Hamas that left seven people wounded, including a baby and a toddler, and utterly destroyed a home. 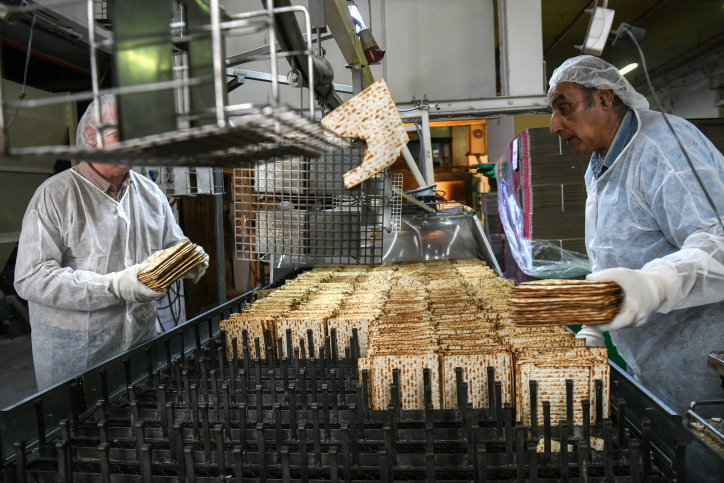 That attack was followed by more than 50 rocket, missile and mortar shell attacks launched in a series of barrages from Gaza aimed at Israeli border communities in the south. Meanwhile, the United Nations Security Council in New York is scheduled to meet in emergency session on Tuesday at 10 am Eastern Time to discuss the attacks by Hamas on Israel.